Appropriate science fair projects for young girls will peak their interest in science and lead to excelling in future classes. Everyday science associated with girls' daily lives can be turned into projects to hold the student's interest and raise interesting thoughts for judges. Hair is an important part in the daily lives of young people. Turn this concept into a Science fair project. The teens working as a group may compare the uses of different commercial shampoos. Use small strands of hair prior to the experiment as the control items and then pieces of hair after the use of a specific brand of shampoo after a week of use. 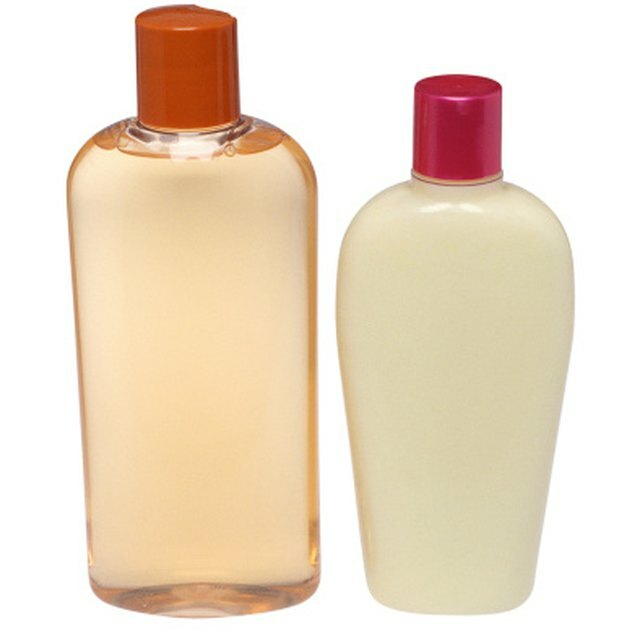 Incorporate the claims of the commercial shampoo to determine whether the products holds up or fails to perform. Alternatively, girls may try out alternatives to using commercial shampoos on their hair. There are multiple theories on using vinegar or baking soda to replace commercial shampoo. Attempting these theories and reporting on the results can result in findings for presentation. Put parenting concepts to use as a science fair project using diapers. The selection of a variety of brands of the same size diaper is necessary to successfully complete the project. Make note of all claims that each commercial diaper offers including ultra absorbency, non-leak edges or special core or better absorption. Do research on the average amount a child urinates and how frequently. Slowly add water in these increments to the different diapers. Observe and report which diapers leak, which hold the most and which hold the least. A display of the actual diapers to show the control of the project and the increments and data used should be displayed. Measuring the length of each nail on each hand makes the foundational data. One person may use commercial growth or strengthening products, one traditional polish, and one nothing at all. Nails are measured at specific intervals and data carefully kept. Any breaking incidents should be recorded and the measurements started over. Data on individual natural nail growth should be included in the report. Use pictures from before and after for a display. Discuss if the commercial product worked or if nail polish helped the cause. Johns, Sidney. "Teenage Girl Science Fair Ideas." Sciencing, https://sciencing.com/teenage-girl-science-fair-ideas-6520404.html. 25 April 2017.